Millennials were the first generation to really embrace the internet. They grew up with it and everything that it brought with it. The expanded social circle, the vast new swatches of knowledge that were available at your fingertips and remembering passwords. I remember a time before I had passwords. I'd need to remember a few phone numbers and maybe a few addresses, and that was it. My home phone number, the work numbers of my parents and a small circle of friends. It wasn't easy, but it wasn't anything life-changing if you forgot them. Today I have passwords galore. Three different gaming services, two emails, two banking profiles and not to mention a laundry list of different crypto exchanges. That's not even mentioning the crypto keys that I need to have written down in multiple places so that my investments are never lost. It's information overload in the worst possible way, and it affects everyone right now. Adding in crypto wallet keys to that is scary for anyone over a certain age, and that fear is what is holding back true mass adoption of cryptocurrencies. In the past, people would rely on banks to take care of their financial assets. Bank robberies were rare, and even in the worst case, the money would be insured. So asking someone for whom the mobile is almost akin to magic, to trust their life-savings and hard-earned monthly income to a company that is barely older than some of their children is a big ask. It's not just the age factor either. There are multi-billion dollar companies that have been hacked entirely. Yahoo had a massive breach where every single account I had on its books was compromised. Passwords, emails, names and even password hints were stolen, and the scary thing is that many people who use Yahoo can barely recall that it happened. Three billion accounts compromised and the company just goes on with business as usual. Sony, eBay, Marriot and, most disturbingly, Equifax have all been breached relatively recently. These are all companies that have strong brand names and billions of dollars – very little of which was effectively paid to keep data secure. So security and trust are two big issues facing mass adoption of cryptocurrencies. There is one more and its the same flaw as in every other endeavor in human history. Humans are the biggest weakness in their own security. QuadrigaCX is a perfect example of that. The only person to have the keys to the kingdom, literally, in this case, was the CEO. He alone held the cryptographic keys to the cold wallet where the company stored over $134 billion dollars worth of cryptocurrency. All that value has been lost, forever, since he died and took the secret to his grave. All those clients have lost their money, never to see it again. Imagine how frustrating it must be for people who want to invest in crypto assets and seeing news like this. It must be daunting for those that are still using their childrens' names and birth years as passwords and who are used to a world where banks with hundreds of years of history are guarding their cash. Then there is the more modern problem. Using a password manager will put in another single point of failure. Services like LastPass, which manage all your passwords are not immune from getting hacked. You might have enabled 2FA on your account, but hackers have found ways to bypass it with sophisticated spear-phishing techniques. Seeing companies that everyone has heard of being hacked with regularity, does not give anyone the confidence to truly trust yet another online service. So where does this leave cryptocurrencies and blockchain projects that promise true security that you, yourself are responsible for? It leaves them with a lot of work and a lot of research to do. It is not only about creating more secure decentralized systems that are impervious to hacking; it is also about making the entire experience comfortable for end users. End-users that might never fully trust themselves with holding their own keys to their kingdoms. What the crypto world needs is a new system that will make people feel at ease. A system that ensures that their money will always be available even if they do make a mistake. A system that has safeguards in case of accidental death or mental injury. That is what the crypto world needs to ensure mass adoption. A freelance journalist, with experience in web journalism and marketing. Ali holds a master degree in finance and enjoys writing about cryptocurrencies and fintech. 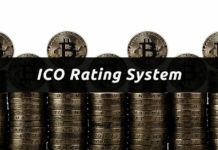 Ali's work has been published on a number of cryptocurrency publications. 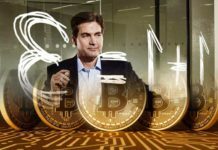 Craig Wright Says His 2008 Credit Card Payment Proves He Co-Owned Bitcoin.org aka Satoshi Nakamoto? Rumor Mill: Facebook to End Messenger P2P Payments; Will Blockchain Based FBCoin Replace It? 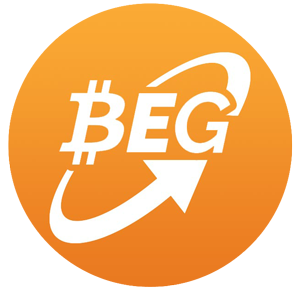 © 2014-2019 BitcoinExchangeGuide.com - All Rights Reserved. BitcoinExchangeGuide may include references to third-party links which can result in referral commissions from trusted partners and verified programs. Our educational crypto news and coin market analysis must-be used for informational purposes only and is never intended to be financial advice. Bitcoin investing is extremely risky, do your own research. Take responsibility for your own actions, seek qualified-professional assistance as past results do not guarantee future performance.